Focus – As a parent, you're likely looking for an activity that can help develop your child's ability to pay attention as well as their listening skills. Our Program will build their attention span… teaching your child to focus on the task at hand while improving their listening and reaction skills at the same time. As a result, your child will excel in physical activity, improve their ability to stay focused, and become an better listener both at home and in school. Self-Control – Self-control refers to the training that one gives one’s self to accomplish a certain task or to adopt a particular pattern of behavior, even though one is unfocused or would rather be doing something else. For example, when your child has learned to listen to mom and dad, pay attention in class while listening to the teacher instead of talking to his friend next to him, he has demonstrated the ability to self-control… while making the good decision to do so. Responsibility – Do you wish your child would WANT to be more responsible and perform better in all areas of their life? An framework of goal setting and success is the answer. Our exclusive age-specific curriculum and belt progression system is interleaved with a student's behavior and relationships at home (with parents and siblings) as well as their behavior and performance in school. Our students must show the right amount of responsibility at home, school and at the gym in order to advance to the next belt. Health and Fitness – You're probably already seeing a lot about the childhood obesity epidemic in the news and on social media. Childhood obesity is an extreme case, but it is important for all children to understand the importance of being healthy and physically fit at an early age. Being physically fit is a necessity for any martial artist but more importantly… The sooner we enforce this concept, the healthier your child will be now… and the less difficult it will be to stay physically fit as they grow older. Self-Esteem and Self-Confidence – Our Age-Specific Programs improve a children’s self esteem through real attainment. The hard truth is that "every kid gets a trophy" doesn't build lasting confidence and self-esteem. 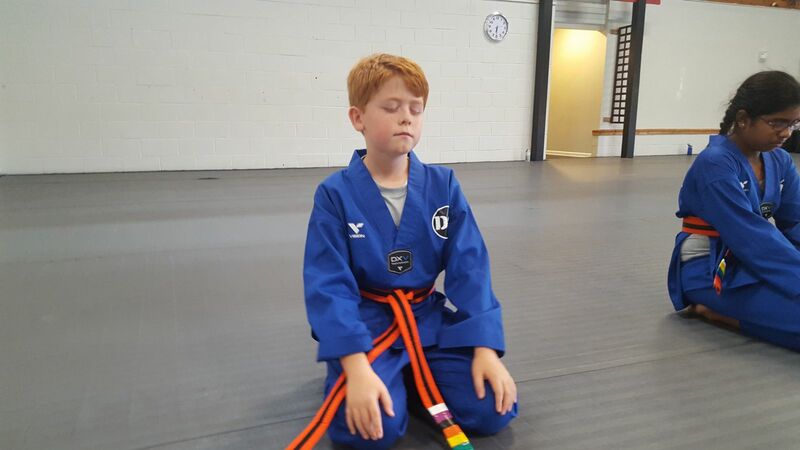 When kids work to earn their next belt level, the have incremental goals with clear expectations, every time they attain one of these micro-goals they are building self-esteem and learning to about themselves and their own abilities. Plus, unlike most other martial arts programs, our Martial Arts Programs have no fees for testing or advancement. We believe a student must earn their next level, not pay for it! Respect for Others Comes with Respect for Themselves – One of the most important words in martial arts is respect. Students are taught to respect their instructors, each other, and themselves. Our instructors spend time in class discussing the importance of respecting school teachers and parents. Respect is often missing in many facets of today’s society. A child’s social behavior should be directly linked to his or her progression in the martial arts class. It’s not just about winning, Our children's martial arts programs are about personal growth and becoming a better person. Discipline, Behavior and School – We have a lot of fun at the Northshore Academy of Martial Arts but instructors will not tolerate excessive talking or goofing around in the school. Improved behavior in a Martial arts class often translates into improved behavior at school. Improved behavior at school often translates into improved grades. We require behavior reports from the parents to make sure that the student is focused in the classroom and at home… Not just the dojo. We want to make sure that our students are working on their Martial Arts technique, improving their behavior at home, as well as improving their grades at school. 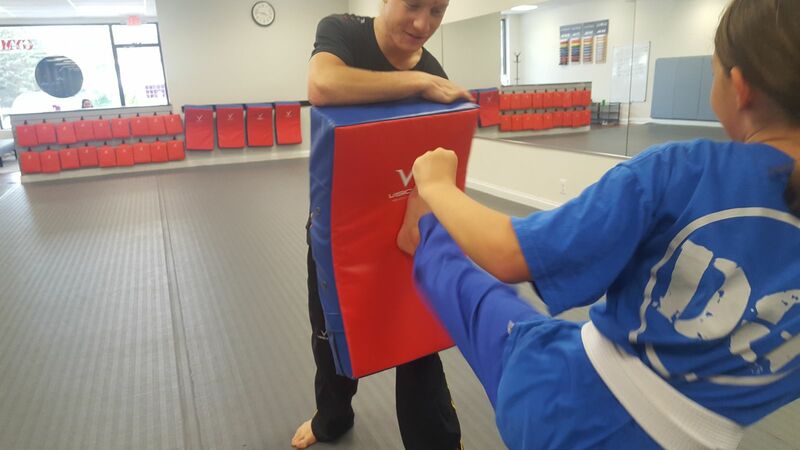 We teach a very effective form of self defense and want to make sure that the right kids are learning it. Becoming Bully Proof – Bullying is defined as unwanted, aggressive behavior that involves a real or perceived power imbalance. Kids who bully use their power – such as physical strength, access to embarrassing information, or popularity – to control or harm others. Bullying includes actions such as making threats, spreading rumors, attacking someone physically or verbally and purposely excluding someone from a group. Both kids who are bullied and who bully others may experience serious, lasting problems. GET YOUR CHILD STARTED IN OUR AGE-SPECIFIC CHILDREN'S MARTIAL ARTS PROGRAM TODAY!